The software product development is a crucial set of activities that differs from a normal software project development activities in many ways. Multiple smaller iterations, time to market, concurrent feature development & its integration and stability of the product are some of the aspects that needs attention apart from the market feedback based fine tuning. The software product development encompasses many activities, including conceptualization, designing, architecting and creating technical designs for the product, building (coding) the product as per design, verifying and validating the product to ensure that everything works as planned and designed. 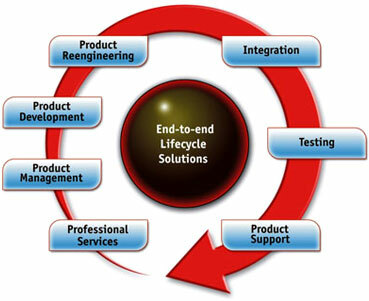 Further customizing and implementing the product as needed and even maintaining various versions of the product during products life cycle. We strongly believe that new product design and development requires taking full ownership of the product, thereby taking up the responsibility of all aspects of the product life cycle-R&D, prototyping, development, testing, maintenance, support and development of next generation of the products.